Wycombe Wanderers have signed forward Dean Morgan on a short-term contract until January. The 29-year-old was a free agent after being released by Chesterfield at the end of last season. "Dean is a very good player and has always played well against us," boss Gary Waddock told the club website. "In recent weeks we have lacked creativity and a goalscoring threat, so we needed to address that by creating competition up front." Morgan, who can play in a central role or on the wing, began his career with Colchester before moving on to Reading and Luton. 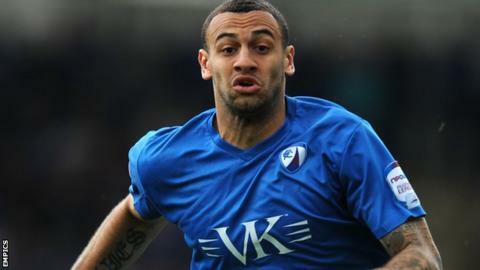 A spell with MK Dons followed before he joined Chesterfield ahead of the 2010-11 season, in which they won promotion to League One. He scored twice against Wycombe in a 3-2 defeat at Adams Park last December but ended the season on loan at Oxford United. Morgan played a trial match for Wycombe in midweek and could now make his debut against Chesterfield on Saturday.